I've worked on hundreds of projects ranging from web, graphic and print design to front-end development, a touch of back-end development and more recently, authorship! I've picked out a few favourites below; just click on the thumbnails to read more about each. This project was launched to coincide with the latest UK budget announcements as the aim of the content was to suggest how users could save money through Internet based services. 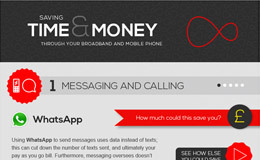 As well as gaining links to Virgin Media, much of the content was self-promoting as some of the money saving suggestions were based around Virgin services. The design had to follow Virgin Media's brand guidelines, although some leeway was allowed where justified by the creative needs of the piece. The brief also stated the desire for interactivity in order to really engage the user and increase its "cool factor". Another aspect of this project was the extremely fast turnaround required. Because the piece needed to be launched alongside the budget announcements, I had to complete the final 80% of it over just two days (and nights). 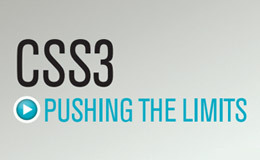 CSS3 Pushing The Limits, A Publication on Advanced CSS3 for John Wiley & Sons Inc. When I finally set up my own site through which to blog about the Web, my interest in CSS3 soon shone through as it became the main point of discussion for most of my articles. It was these writings that lead to global publishing company, John Wiley & Sons Inc., contacting me in August 2012 to ask if I'd be interested in extending these writings… quite considerably! The opportunity to be filled was the authoring of a 380 page book on advanced CSS3. After the initial excitement and anxious doubts, I jumped at the chance and didn't look back. From December through June 2013, I did little else and was thrilled with the product of all this hard work. 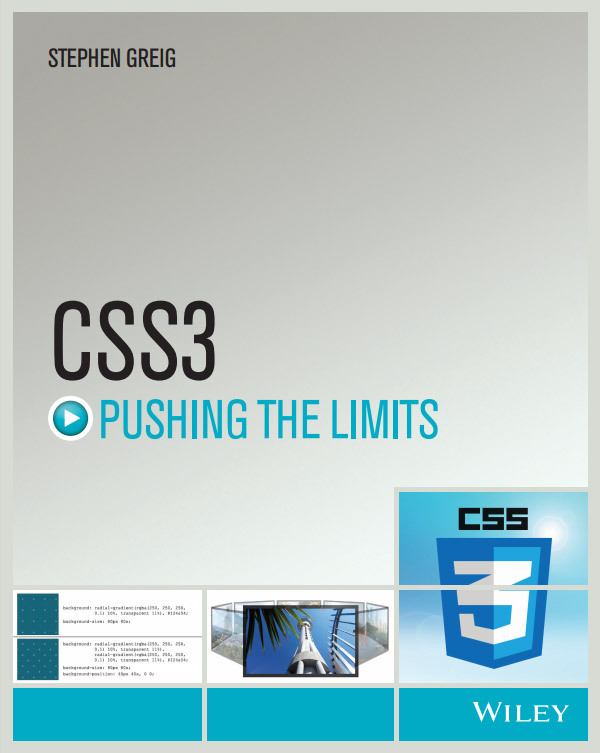 The book covers a comprehensive range of the CSS3 modules, from the more mainstream right to the cutting edge, and attempts to push the techniques and features discussed to their absolute limit. You can buy a copy direct from Wiley, or simply search for it at your preferred book store. This project was completed for Online Marketing firm iProspect, with the intention of adapting the platform for several of their clients where required. Subsequently, one of the main criteria for this project was the need for it to be extremely adaptable so that it could easily be re-skinned for different clients. This was achieved largely through use of PHP variables and arrays, with almost everything available to be changed through just a single file. The piece is also fully responsive and performs well at all screen sizes and on all tested devices. 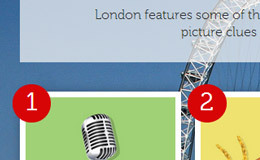 The images used here show the platform in use on OutAndAboutInLondon.co.uk for a London roads picture quiz. This project was completed during my time at Auckland based web design agency Austin Digital. AlkawayNZ came to us with a very dated website, which suffered in terms of both design, functionality, and the ability to update easily; which in turn was having adverse effects on the company's overall efficiency. We put together a design that allowed the site to push both information and products, largely through basing the redesign around organisation and clarity; therefore simplifying the site for the user. The shop was built on the WooCommerce WordPress platform which has been met with rave reviews from the client in terms of the ease of maintaining both the shop and sales. A couple of years ago, I featured a short, experimental series on my blog in which I re-created famous logos using nothing but HTML and CSS. My attempt at the Volkswagen logo was by far the most complex, feature-ridden and subsequently, the most visually impressive. Despite my creations, I'd be the first to advise that this type of experimentation never be found anywhere near actual production code. CSS should never be considered as a way of displaying a logo in a real life scenario. However, it's this type of experimentation that helps to push the boundaries in terms of what is acheivable with just CSS and really serves to flex your creative muscles. I'd always advise and encourage this type of experimentation as a learning tool, as long as you're never tempted to mis-use these techniques. The online marketing team for Allianz Global Assistance wanted to produce and circulate an infographic on the dangers of golfing around the world, in turn providing a light-hearted nudge to punters to purchase their insurance services! 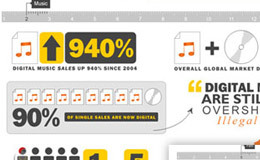 The content, together with the basic outline and structure of the infographic was provided as part of the brief, leaving me with the task of presenting it in an interesting and visually impressive manner. This project was extremely fun to work on and is another testament to my core strength of being able to take large amounts of content and organise/present it in a way that will capture the viewer. The Messi Vs Ronaldo website filled a surprising gap in the market on a subject with a high level of interest (globally) and therefore a significant amount of search queries. 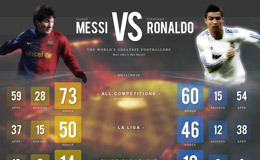 With nothing online providing an up-to-date comparison of the planet's two best footballers, I designed and developed a solution to act as a quick reference point for their current goal tallies as well as further comparisons available below the fold. I maintain the site with ease with the help of simple PHP variables, due to a lack of a reliable API for my specific need. You can read more about the making of the website, its initial performance and my hopes for its future in my blog post, 'From Concept to Live in 8 Days: Messi Vs Ronaldo'. 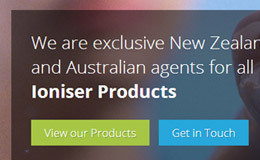 The website has since proved very successful, becoming self-sustained through organic searches and bringing in anywhere between 100,000 and 200,000 unique visitors each month. It also has a fast rising Facebook like count of 26,500 and almost 3000 people have offered their opinion in the comments section. The aim of this project was to provide a fun way for users to input their criteria for their perfect city break, before being presented with the best destination based on this criteria. The piece is very illustration heavy, with the design being based around the typical "summer holiday" vibes of bright sun and blue skies. 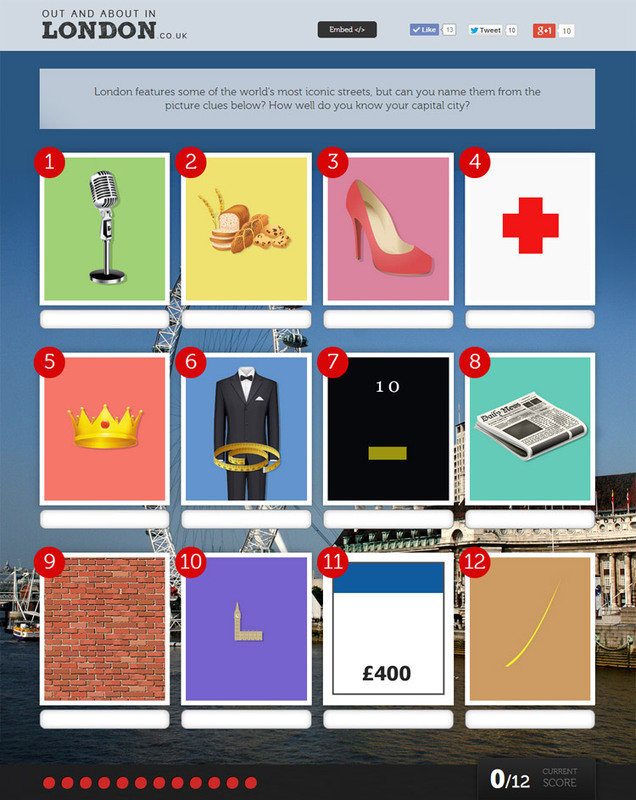 I also used a lot of iconography to represent some of the most popular city break destinations around the world. The whole design that you can see on the left is actually split into 6 sections; the user clicks through the slides by selecting one option on each slide, which then triggers the piece to slide down onto the next section. Express Vending's previous website was dated and lacked structure, both visually and in terms of the site's content. The re-design needed to be cleaner with a more modern edge and clearly present the products and services that they provide. With a knack for handling big sites and large amounts of content, I was chosen to tackle the project during my time at Nottingham based Web Agency, Adtrak. The design stage was all about iteration with multiple meetings with both the client and our in-house researchers, ensuring we reached a final solution that met the needs of all parties. 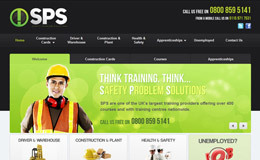 I also took on the site's development, seeing the project right through to its launch and subsequent maintenance. The goal for this project was to create a piece of content for Virign Mobile that would get shared through social channels and used for SEO outreach. The brief was fairly open, with the sections only roughly outlined and the actual content to be determined. 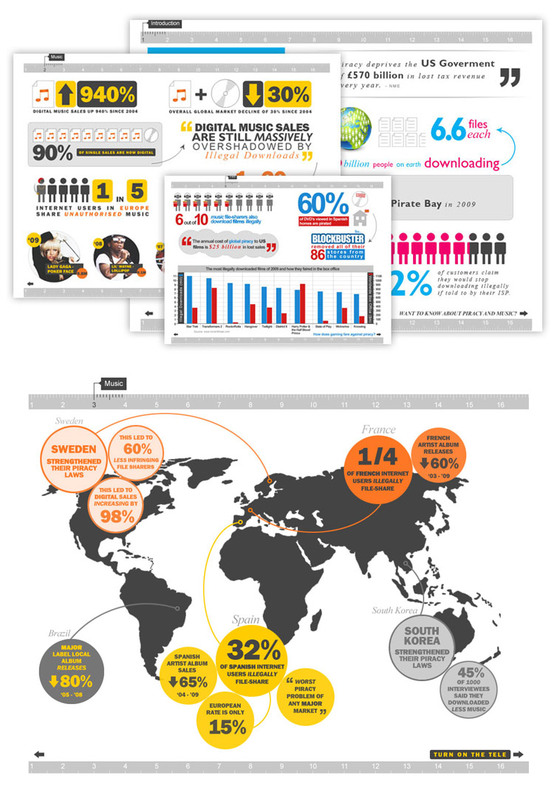 My role in the project was comprehensive, from research and data-gathering to concepting and wire-framing, right through to the infographic's final design. 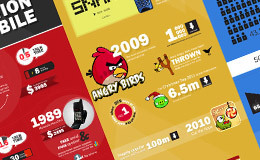 The final product featured four distinct sections on the evolution of various aspects of the mobile phone, allowing the full infographic to be split and distributed in parts as well as in full. The SPS website features an extremely large amount of content, including information on hundreds of courses, for which I developed a custom content management system. I developed the system using PHP and MySQL with the aim of making the courses on offer easy to manage and maintain through the creation of a dynamic structure. The site's design attempts to organise a huge amount of content into something that is more manageable for the user attempting to digest all of the information on show, with distincive sections that aim to separate the data in more consumable chunks. I designed and developed the site from the ground-up, right through to its launch during my time at Adtrak in Nottingham. This is a project from my University days that really sparked my interest in inforgaphics and how information can be presented in interesting ways in order to make it infinitely more desirable to consume. This particular piece on digital piracy, features several slides that present facts and figures on the various aspects of the entertainment industry that are affected by online piracy. The user is given a sense of control as they navigate their way through the slides at their own pace, taking in the unique design and colour offered by each slide. Although the actual content is increasingly dated with each passing day, you can take a look at the design and experience the interactive element by taking a look at the full piece.